The Greek physician Hippocrates is considered to be the father of medicine. In fact, the Hippocratic Oath is a pledge that graduating medical students still take today as they promise to practice medicine safely and ethically. As early as the fourth century BC, Hippocrates was teaching medical students that like cures like. Simply put, this means that a substance that causes an illness in a healthy person can, when given in an extremely small dose, be used to effectively cure a person who is sick with that very same illness. It is a principle documented in ancient Eastern medical writings as well. In the late 1700’s, a highly respected German physician named Samuel Hahnemann explored that healing principle in great depth and ultimately devised an entire system of medicine based upon it which he called homeopathy (meaning “similar suffering”). 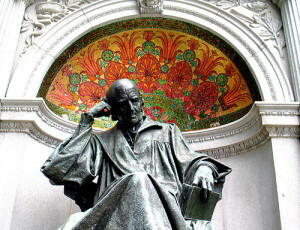 Hahnemann was not only revered as a physician, he was also an accomplished chemist and linguist. He wrote the foremost pharmaceutical textbook of his time, spoke at least nine languages and translated numerous medical and chemistry textbooks. 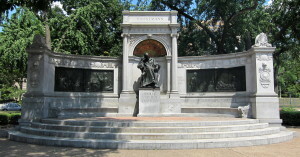 As an enthusiastic public health advocate, Hahnemann promoted the fundamentals of proper diet, exercise and good hygiene. He was also known for his compassionate treatment of those suffering with mental illness. Due to Hahnemann’s profound disapproval of some of the harsh but widely-used conventional medical procedures of his time (including bloodletting, purging and the application of leeches), he ceased practicing medicine roughly five years after receiving his medical degree. He turned instead to his work as a translator and chemist to support his family. In 1791, while translating Dr. William Cullen’s Materia Medica into German, he questioned the author’s description of a treatment for malaria made from a Peruvian bark called Cinchona. Hahnemann decided to ingest doses of the bark himself to see what effect it might have. After several doses, he manifested malaria-like symptoms. From this experience, he concluded that the bark might successfully heal those with malaria because it was able to produce similar symptoms in a healthy individual. This experiment marked the beginning of Hahnemann’s development of a vast and meticulously-tested system of homeopathic medicine and it was the basis for his advancement of the Law of Similars (like cures like). For approximately fifty years, Hahnemann practiced homeopathy and continued to undergo experiments with many other natural substances to determine their curative effects. Friends and colleagues also participated in these experiments (called provings), supporting Hahnemann as he carefully documented the benefits of each substance for healing the sick. Noting that the sick were hypersensitive to the substances that caused similar symptoms to those they were experiencing, he tested increasingly dilute versions of these medicines. He did this by adding water to an original substance and shaking the mixture vigorously between increasing dilutions, to create very potent but gentle and effective medicines. 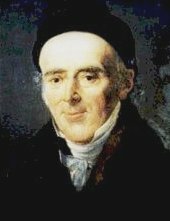 In 1810, Hahnemann published a text detailing the principles of homeopathic medicine in the first edition of his most important work, Organon of the Healing Art. Homeopathy became widely used by physicians and laypersons alike throughout the world during the 19th century, often providing better outcomes than conventional (or allopathic) medicine. In fact, homeopathic medicine proved far more effective than conventional medicine in treating epidemic illnesses of that era including scarlet fever, typhus and cholera. In 1825, Dr. Hans Burch Gram, who was trained by one of Hahnemann’s protégés, established the first homeopathic medical practice in America, locating it in New York City. Approximately eight years later, the first homeopathic hospital opened in Leipzig, Germany and over time, numerous homeopathic medical schools were established throughout Europe. Near the turn of the century in the United States, there were 22 homeopathic medical schools, 100 homeopathic hospitals, over 1,000 homeopathic pharmacies and approximately 15,000 homeopaths in practice. However, while homeopathy continued to flourish globally, the U.S. saw a decline in its practice in the early part of the 20th century. Partly in response to the success of homeopathy, allopathic medicine had evolved to develop more conservative approaches to the study and treatment of disease. 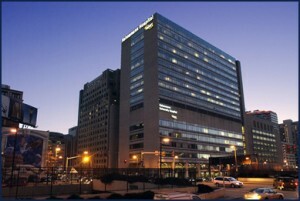 They had answered the establishment of the American Institute of Homeopathy in 1844 (our first national medical organization) with the creation of the American Medical Association in 1847 and continued to bring political pressure to bear upon the homeopathic medical profession in the ensuing years. Finally, in 1920, the last purely homeopathic medical school in the U.S. closed, though Hahnemann Medical School in Philadelphia continued to offer homeopathic electives into the 1940’s. But growth in the American public’s appreciation for holistic and natural approaches to health care prompted a renewed interest in homeopathy beginning in the 1970’s. As a result, numerous schools of homeopathy have once again been founded in the U.S. in recent decades, offering professional training in this gentle yet vital healing modality and yielding a new generation of homeopathic health care providers. The National Center for Homeopathy in Alexandria, Virginia, estimates that there are currently about 10,000 homeopaths practicing in the U.S. today. Those providers of homeopathy may also be medical, osteopathic or naturopathic doctors, nurses, chiropractors, physical therapists, psychologists, veterinarians, or simply professional homeopaths. Americans have become “educated consumers” of health care services, actively participating in their own health care decision-making and placing emphasis on prevention and wellness more than ever before. It is no coincidence that this fundamental shift in the role of the patient and many Americans’ proactive pursuit of excellent health have developed in step with an increased interest in homeopathic and natural medicine. People are seeking solutions to their health challenges that come without the burden of side effects. They value treatment modalities which potentiate their bodies’ innate ability to heal. And in both respects, this is where homeopathy shines. It may be a system of medicine developed over 200 years ago but it is most assuredly medicine for the 21st century, especially for those who take their cues from nature on how to stay well and live with vitality.